I cannot force my children to practice Martial Arts. That is against the Tao. If it comes natural, let it be, if it does not, let it be. My children will have to exercise, practice good hygiene, eat healthy, and sleep well. Those are necessities that they have no choice in fulfilling. We live the healthy way, so my children have no other choice but to follow. The fridge is only filled with healthy foods, there is nothing else to eat. It is either eat healthy or starve. They are forced to brush their teeth and take showers even when they don’t want to, it is a necessity of health and wellness. The lights go out at a certain time so they have no other choice but to sleep when it is time. They exercise because there simply is nothing else to do. We have no cable TV to watch. We have movies, but movies get old. They play online games, but eventually they have to stop and move around. They want to go to the park to play, when they go to the park, that is the beginning of their physical training. Even at home they are very active running and playfully wrestling. Activeness is extremely important. The must be active. But as far as formal exercise training, like in the beginning stages of Martial Art training, I do not force but I encourage. They know they will make us happy when they participate, knowing this encourages them to get involved. I also notice that when other children are around taking the training serious, they tend to get more involved. Brandon loves playing XBox 360. We have an agreement that if he practices Kung Fu for 1 hour, he can play Xbox, and this agreement is working wonders. It really motivates him to get involved with the training. Angelina naturally loves to train and does not need video games as a motivation. Brandon and Angelina enjoy spending time with me and that is what makes them want to participate. The kwoon is also separated from our home. Taking them to the kwoon creates a separate environment that also motivates them. Staying at home all day makes a child want to get out and be somewhere new. The kwoon becomes a quick getaway to do something exciting and different, this helps a great deal. Keo does get involved as well, but he is not as motivated as Brandon and Angelina because he is still a bit young and does not have as much energy as Brandon and Angelina. Jet is the only one that is unable to participate in anyway because of his extreme lack of focus and attention span. I see that it is very important not to force the children to learn Martial Arts; they will learn when they are ready. If they experience great struggle in life, it may encourage them to learn when they wonder why they are having such a difficult time overcoming these struggles. Sometimes it will take a child getting bullied or beat up in school in order for him to realize that he needs to take action and get started in something like Martial Arts to defend himself when necessary. 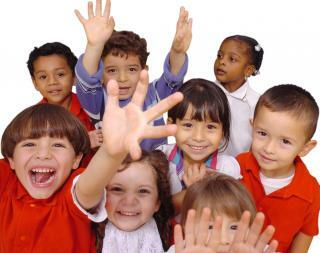 It is of absolute necessity that children learn to be healthy and nonviolent. If they are able to live a peaceful life, they may never find a need to learn Martial Arts at all. But if they are surrounded by struggle and conflict, Martial Art training may very well end up becoming a necessity. It depends on each child’s circumstances. It is not right for a parent to force a child to practice an Art that he/she does not enjoy. If he would rather play the drums or read, let him do so. But no matter what he chooses, he must find time to exercise. Exercise is something that I will always enforce, because him refusing to do so is no other reason than just pure laziness. When a child is being lazy, you must teach him the way to combat this laziness and become active. 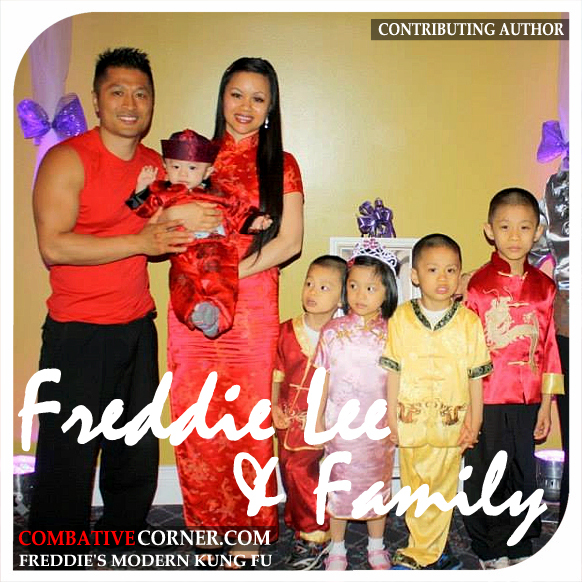 When a child is continuously active, Martial Art training will come on its own natural way that is unforced. Freddie’s Modern Kungfu. Chicago, IL. In the four episodes that Lee’s character appeared in, the Jeet Kune Do master was able to give some extraordinary advice. What is so refreshing about these scenes is that the viewers, for once, can see first-hand how Bruce Lee instructs another person; a person with common doubts about his/her readiness, uneasiness moving in his/her body and frustrations regarding the whole process. WHAT DOES BRUCE MEAN BY THIS? At this point, Longstreet is not far enough in his training. He has not yet learned to make mind and action ONE. ‘The Art of Dying’ as Bruce Lee puts it, is understanding your own mortality… understanding that some situations, we cannot/may not walk away from. When you have options, when you have opportunity, we may be able to capitalize. But when we accept our own mortality, if we are willing to die, we become a much more dangerous animal. In order to preserve our Life the one who understands the ‘Art of Dying’ is more likely (and capable) of taking risks and making sacrifices his opponent might not be willing to make himself. The survival edge now swings your way. An interesting concept, is it not? Does anyone else care to elaborate? Does it mean something different to you? The great thing about being a Kung Fu teacher is that it is about being a teacher of life, it is not just about teaching someone how to defend themselves physically. It goes much deeper than that. So being a chiropractor, teacher, or a translator is all relevant to Kung Fu & Martial Arts. A chiropractor will know how to heal the body from pain, this is extremely important in the Martial Arts. When you share your knowledge in Kung Fu & Martial Arts to others, that is teaching. When you study the Eastern cultures and way of life and share it with others in the West, you are being a translator. We are not meant to be cogs in a machine who are designed to do one repetitive task over and over again. We are meant to be creative and artistic with many loves in life. That is why you have so many interests in career choices that you find it difficult to choose one. The beauty of Kung Fu & Martial Arts is that you do not have to choose one. As you practice… as you turn it into a way of life, you are simply living, enjoying, and teaching about life – you are not just limited to serving one specialized function. A Martial Artist may make less money than a Chiropractor, but that depends on how successful you are. As a Martial Artist you can reach out to many people in different ways. The schooling required in order to become a Chiropractor I would imagine would be extremely expensive, if you put that into consideration, they do not make as much money as you would believe them to make. Whereas being a Martial Artist would not nearly cost you as much in schooling, so you can potentially live a comfortable lifestyle in that field. Being a Martial Arts teacher is not just a dream that many seem to fail at, but rather it is not a common practice here in the West. They do not have a wide variety of schools that prepare you to be a full time Martial Arts instructor. They do not have the curriculum established. You cannot go to grade school, jr. high, high school, and college all for the preparation to be a Martial Arts teacher. It is just recognized as a hobby, not something that is seen to be a serious occupational goal to achieve, like a doctor, professor, electrician, etc. They do not have the schools available because people here in the West still do not know what Martial Arts really is. All they really know about is sport, they know nothing about Martial Art. They cannot teach what they do not know. That is the primary reason many find it hard to achieve their goals in the Martial Arts. They do not have the proper guidance. Those who are successful end up having to self-guide themselves. To develop themselves to be real Martial Artists. Being a quality Martial Arts teacher is not a high paying job. If you are most concerned about money, then this is not the field for you. A big part of the spirituality in the Martial Arts is the balance between giving and taking. The more you make, the more you give. The goal is not to maximize profits in which to exploit others. You do not cheat people out of their money – you are fair in how you conduct business. Your success can grow through time, and you may eventually be profitable, but that is not the primary goal. If you truly love Martial Arts, there is no other job that is more perfect than being a Martial Arts teacher. Real life is what you make it. Teaching Martial Arts is not just about giving kids self-confidence, it is about helping human beings grow to their potential. I live modestly and I am able to make a living by teaching. It’s not easy, but neither is becoming a Chiropractor or whatever profession that requires an enormous amount of time for study and money for schooling. It may be better to work and teach on the side until you build enough of a student base in order to go full-time with it. Yes, it is definitely a good job and yes, it is very realistic – much more realistic than you may think. Without my notice, I had been training in Kung Fu since birth and all these years of training had led me up to this point, where all that I know and all that I have experienced is completely relevant to being in the position that I am in. I never planned to be a Martial Arts teacher, it just happened on its own. Sometimes in life you don’t plan for things. They just happen. I believe the key is to put your heart into what you love. If you do that, you should be fine.